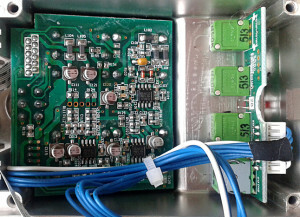 Digital chorus/phase/flange multieffect in the small metal series? Apparently yes. And once we open it up, there’s very little doubt of what the design is all about. Yup. It’s exactly the same board as seen in Echohead and Reflector. 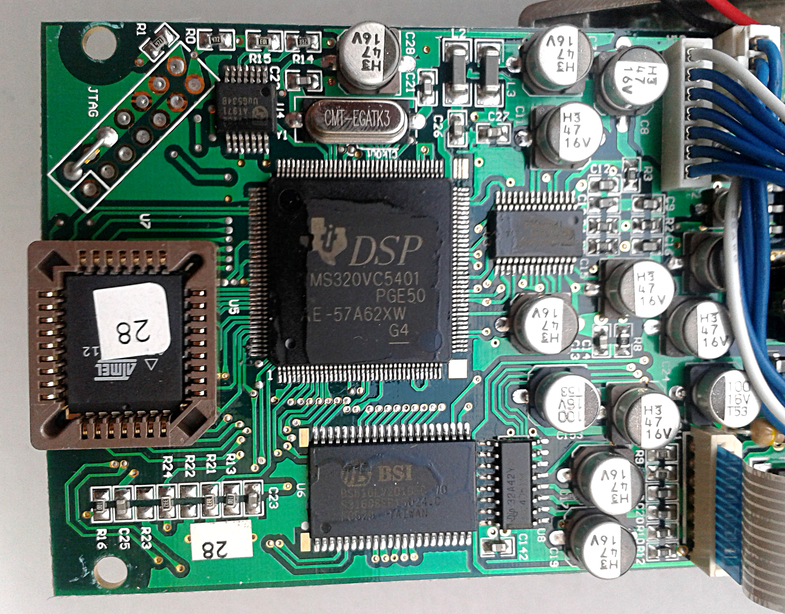 All these three are sisters with the same topology of TI DSP, Atmel and BSI chips. 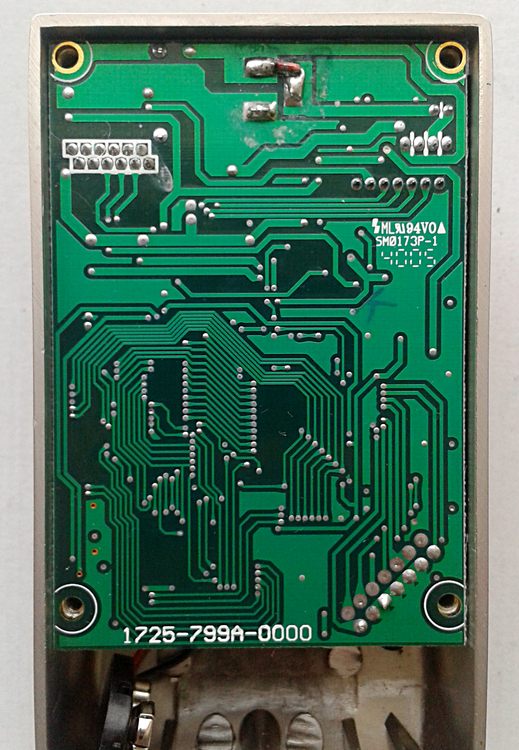 As we’ve seen with many other modern digital designs, the electronics are all the same, but the code burned n and the label on the top are the only differentiating factors. Mostly the pedal is well made and definitely represents the top quality of current chinese manufacturing. It could be that the Marshall quality control is strict, or at least stricter than for what we find in many other current chinese made brands with a low price point. I recently saw a same enclosure used with completely different brand on eBay. Sort of like when Daphon started to sell their own “soundtank-like” pedals as E10-series. Wonder how the british mother company feels about that. Anyway. The pedal has decent set of features and while the digital point makes the sound boringly predictable.. It is still quite versatile sounding unit. Lacking in taste, scent and personality, but still pretty good. 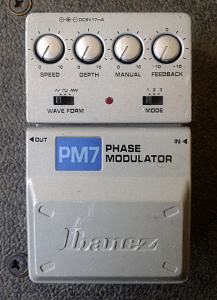 Two chorus modes are not surprising, as the flanger, phaser and vibe modes. The step phaser tries to mimic the random stepping of the Boss PH-3, and succeeds to a certain level. The expression pedal input is a very nice feature that adds a lot usability to the tones produced. 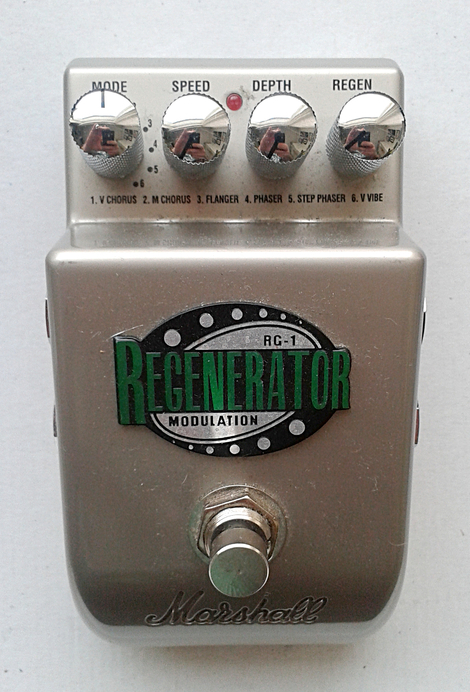 To sum it up, this would be a nice entry level multi-modulation pedal for anyone who may need one. Nothing great, but nothing too disappointing. These are widely available and one should be able to score one for peanuts as used unit. 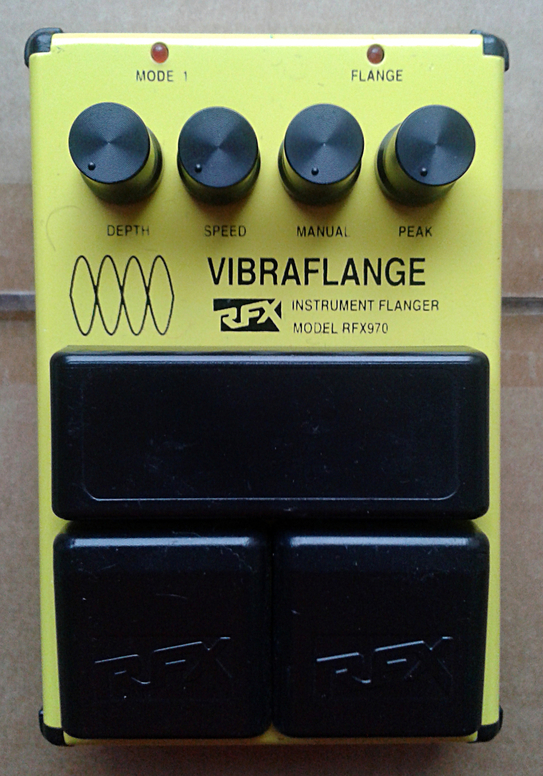 Rolls RFX970 Vibraflange. 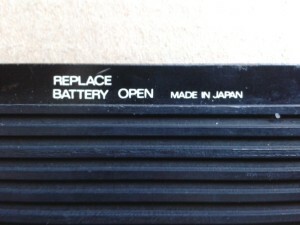 Made in USA, 1993. For some reason i wasn’t aware the amount of stuff in the back catalog of this company called Rolls. 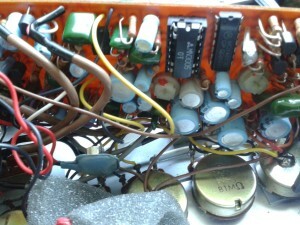 The reasonably priced headphone amplifiers and patch bays i did know. But then again, the main reason might also be that the bigger part of Rolls catalog has been paraded in the US a lot more then here in europe. This thing caught my eye on auction listings. The price was cheap and the shipping plus taxes weren’t too high either so i thought i’d give it a go. Once the parcel arrived i felt pretty enthusiastic. Had to try it out right away. But there were a slight problem in the paradise that day. Effect turned on an everything seemed to be in order, but the LFO didn’t seem to pulse correctly. After a short debugging session, i was aware of the issue’s nature. The speed pot didn’t connect properly inside the pot. And during this investigation, i got pretty certain why. The original board mounted pots were the worst pots i’ve ever seen in a production pedal. Ever. Cheapest things with tendency of disconnecting the sweeper if the pot were bent a fraction of a millimetre to suitable direction. Sure, i contacted the US seller, asked and got a partial refund, since the issue was most likely present when he shipped it out. It couldn’t have appeared during the shipping since the broken pot was one of the middle ones. So i got my partial refund (thanks to the seller, if you happen to read this) and went on to replace those crappy parts for something that works. I had to widen the pot holes a bit to get the industry standard Alpha brand pot shafts to fit through the panel, but otherwise the task wasn’t too massive. 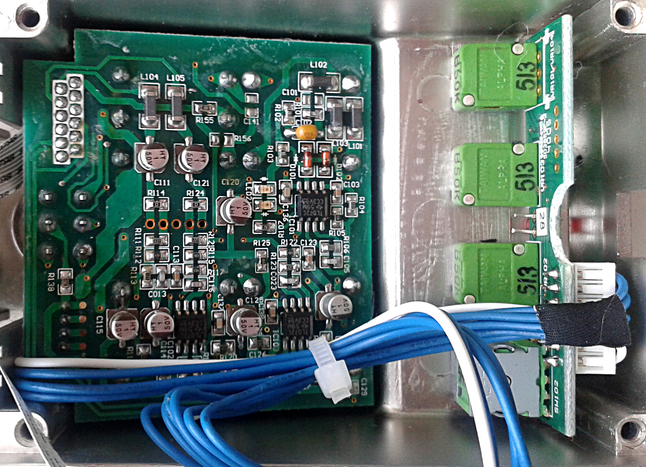 Instead of original board mounted cheapos, i now have hand wired, panel mounted, sturdy pots in there. And the unit works as it was originally intended to. I had to replace the knobs though. Originals were flying high on the standard 17mm shafted pots i normally use. Black knobs, so the visual difference isn’t too remarkable. While the unit was open i could straight away see how, when and with what the unit was made. My first surprise was the date codes on the electrolytics. Year 1993. I was aware of the fact that David Oreste Di Francesco formed DOD in 1973 and that he went on to build Rolls electronics afterwards, but i had no idea Di Francesco had started Rolls that early, at the time DOD was still its prime. (Please do correct me if i have any of this information wrong.) Anyway, the board design looks very familiar to those who have been inside any DOD FX series pedal. The feel and look of the design doesn’t differ much. 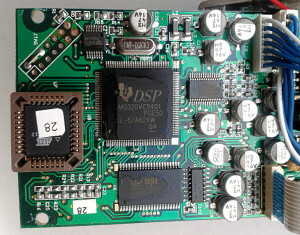 Of course i was assuming this would be an analog design with BBD involved instead of seeing anything digital, but the use of MN3207 and a MN3102 for its driver was still a pleasant surprise. Like i just said, the board design looks and feels a lot like most circuits we find in DOD FX series. This is not a bad thing at all. It feels more warm, fuzzy and home-like to see this design method elsewhere. 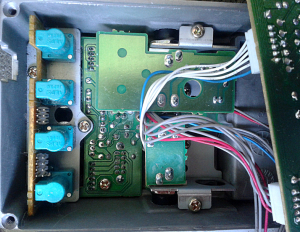 For the features and controls we have two stomp switches, one for bypass and second for activation of “Mode 1”. 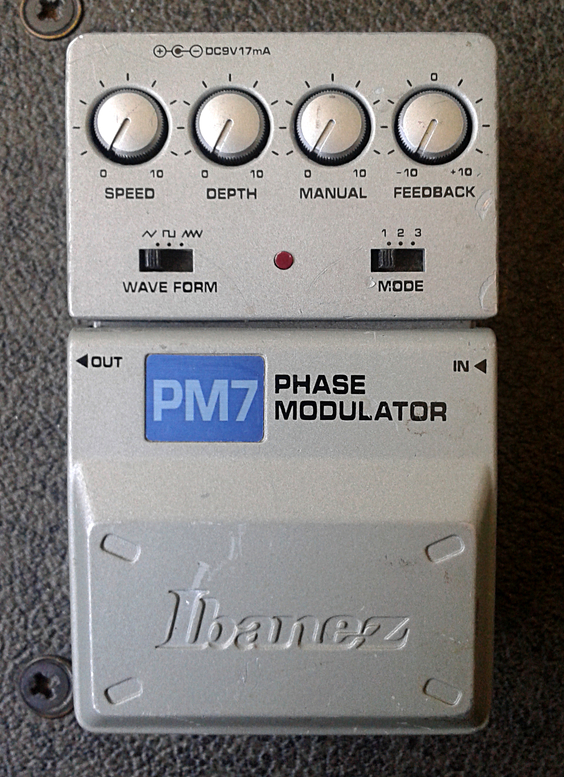 I currently have no idea what this “mode” actually does, but the overall tone of the pedal gets softer once it’s on. For the knobs, we have Depth, which controls the intensity of the flanging, Speed, which controls the rate of the LFO pulse, Manual, which affects the LFO’s intensity and a Peak, which controls how high the Q will get on the highest part of the LFO sweep. 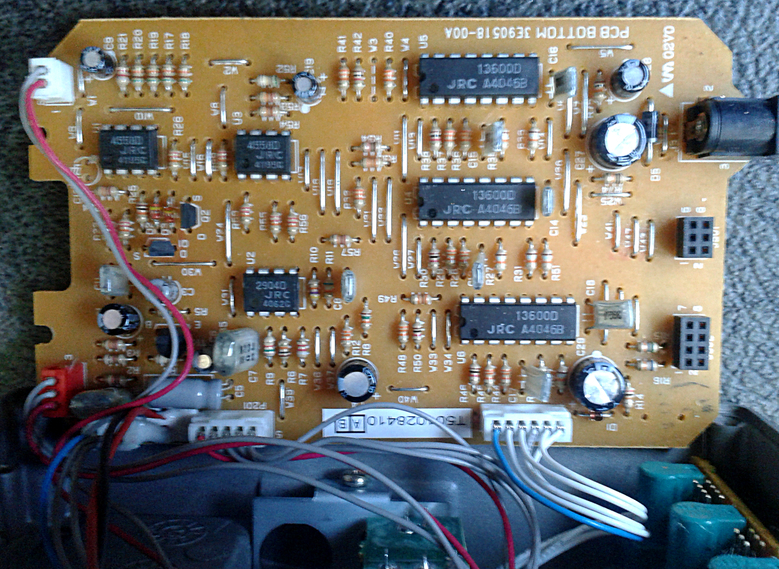 Quite a pack of controls for a flanger that, at first, seems pretty basic. Nothing like a basic flanger or the image of a basic flanger you currently have in your mind. I was blown away once started to play around with this.With zero speed setting, the tone of the pedal is like mild, shimmering octave up with nice glassy feel to it. The controls allow setting the tone from that to a vibrato, that i can call a vibrato (in reality not too many phasers or flangers get to this area). And this can also stretch to that classic velcro’ed airplane flange. 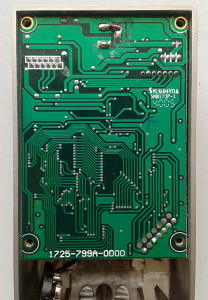 Versatile modulation sounds with all the good and bad that comes with the use of analog BBD chips. This thing sounds just amazing. One can always change the bad pots to something else if needed. But if the design sounds awesome… I may need to keep my eye out if i happen to come across some other units from this RFX pedal series with reasonable price tags. 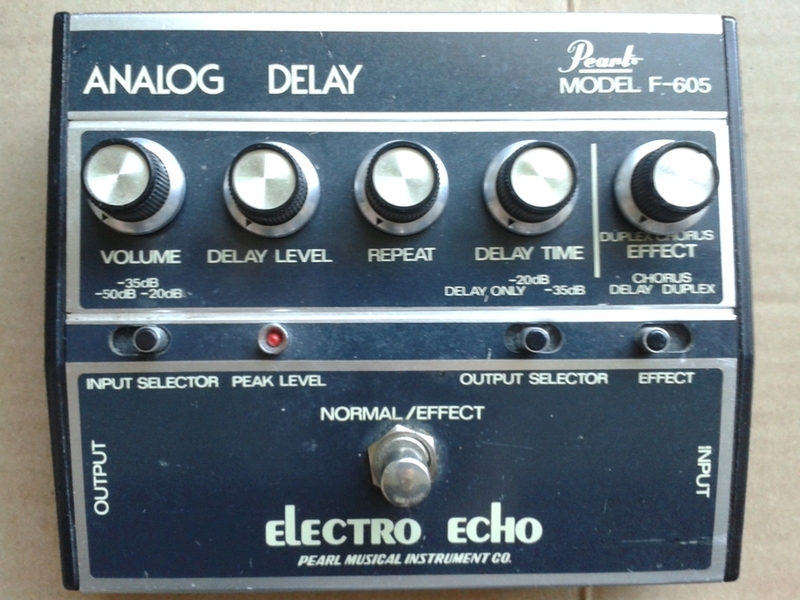 Pearl Model F-605 Electro Echo Analog Delay, made in japan around 1977-79. Saw this unit for sale and couldn’t help myself. Even if it meant that i was to eat dry bread for the rest of the month. Price wasn’t too bad, and i wouldn’t sell this for the price i got it – never. 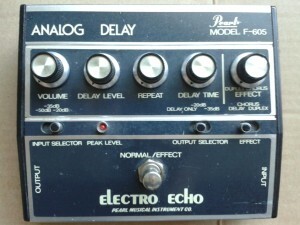 As analog delays come, this may be one of the greatest. It has input and output level selectors, which make it usable with synthesizers and other devices with line level output. In/out level settings depicted in the photo above work reasonably well with electric guitar. But the traces are neat and the design looks pleasing. That box could have housed a bigger board, but i do find this tightness intriguing. Board designer shows some great disipline. I didn’t take the pots off, so you’ll need to live with a shot of raised board. Yup. It is crammed. 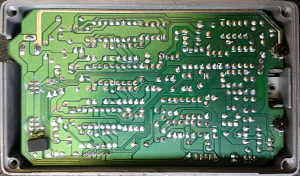 The chip responsible for the delay is MN3005, a 4096-stage long delay BBD (Bucket-brigade device). 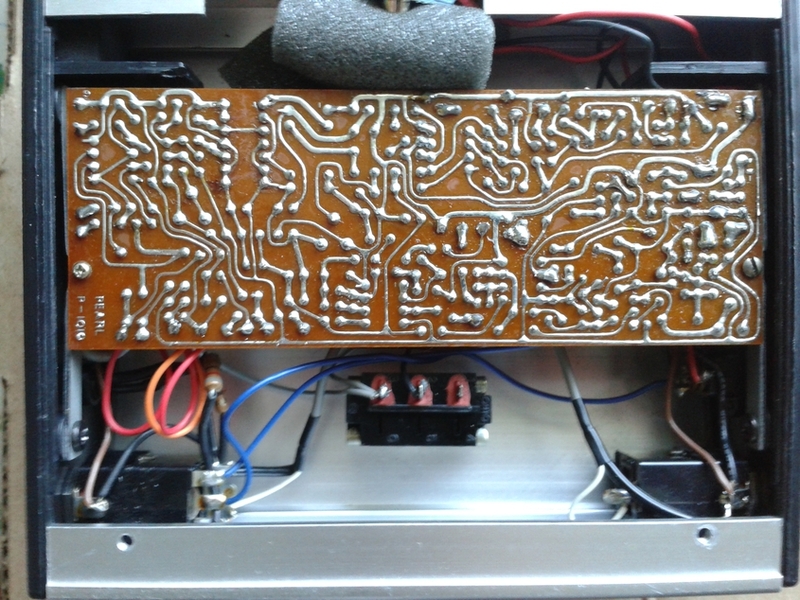 I know i should dig deeper to the design to see what’s really happening in there, but this seem quite complicated analog delay device to begin with. I may have to start with something a little more straight forward. Anyway. As a closing, here’s a shot of the bottom plate. Everyone will get what the text means, but i think that grammar beats even mine. UPDATE! 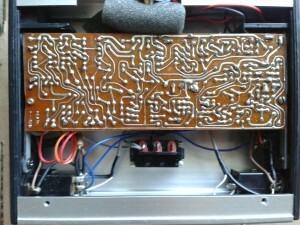 There’s a traced schematic up at Freestompboxes (for those who have an user account). This shows there’s no regulator at the power supply side. On battery use, the unit uses 18V, but the dc jack has 12V 300mA printed next to it. 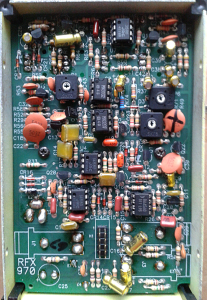 This being said, the unit sounds awesome on battery and a power supply that gives 15V and >100mA out. Since the batteries can handle about 20 minutes of use and 12V supply sounds like s**t, i’m under impression that the label next to DC jack is in error. If you have one, feed it with 15V supply and be amazed. Entries (RSS) and Comments (RSS). 38 queries in 0.126 seconds.